The visceral experience of seeing Sunn O))) is not readily expressible in words so I’m going to be brief. It’s two days later now, my ears still ringing despite the hearing protection. 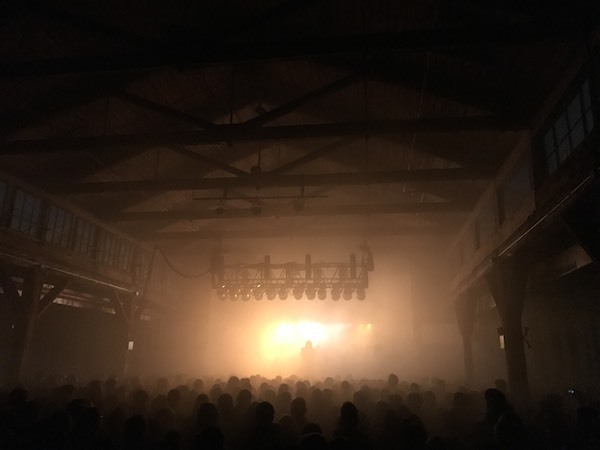 The Knockdown Center shook and rattled and groaned but contrary to its name was still standing after two hours of Sunn O))) doing their best to reduce it rubble with their low frequency assault. The four songs here are presented as a continuous piece. They have titles that I’m sadly not deft enough to know, though the second is “Aghartha” from Monoliths & Dimensions. 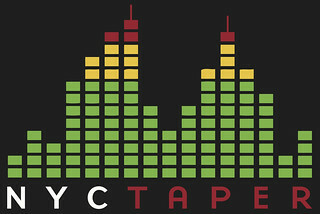 No recording could do this experience justice but maximum volume will get you partway there. I recorded this with the mics run high, set up at the soundboard. The results are stunning. Enjoy! Thanks to the Knockdown Center, Tinnitus Music Series, and LPR Presents for all their assistance in making this happen. Thanks. Saw the DC show (well, ‘saw’ through a blanket of smoke)…always a good time.